In the iconic Christmas film, It’s a Wonderful Life, an angel offers the beleaguered main character, George Bailey, the stark choice between a hometown named for a cruel banker or one created by and for the middle class. The banker’s town, Pottersville, is filled with bars, gambling dens and despair. The people’s town of Bedford Falls is made of hope, hard working middle class families, and their homes financed by the Bailey Brothers Building & Loan. The film’s happy ending is the people of Bedford Falls banding together to rescue George Bailey and the Bailey Brothers Building & Loan that had given so many of them a leg up over the years. Republicans seek a different conclusion. They find middle class cooperation and community intolerable. They want the banker, Henry Potter, with his "every man for himself" philosophy to triumph. 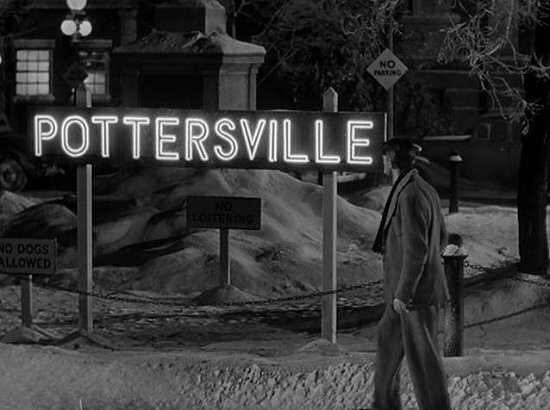 In the spirit of their self-centered mentor Ayn Rand, Republicans are trying to disfigure America so she resembles Pottersville. A building and loan association, like the Bailey Brothers’, uses the savings of its members to provide mortgages to the depositors. Members essentially pool their money to give each other the opportunity to buy cars and homes. At one point in the film, George Bailey explains this concept to frightened depositors who are trying to withdraw their savings during the panic that led to bank runs in 1929. Dec 23, 2011 – In recent American politics, every major shift in political momentum has resulted from an iconic battle. In 1995 the tide of the 1994 "Republican Revolution" was reversed when Speaker Newt Gingrich and his new Republican House majority shut down the government in a battle over their attempts to cut Medicare to give tax breaks to the rich (sound familiar). The shutdown ended with – what pundits universally scored — as a victory for President Clinton. That legislative victory began Clinton’s march to overwhelming re-election victory in 1996. In 2010, Democrats passed President Obama’s landmark health care reform. But they lost the battle for public opinion – and base motivation. That turned the political tide that had propelled President Obama to victory in 2008 and ultimately led to the drubbing Democrats took in the 2010 mid terms. The Republican leadership’s collapse in the battle over extending the payroll tax holiday and unemployment benefits could also be a turning point moment that shifts the political momentum just as we enter the pivotal 2012 election year. 1). Since the President launched his campaign for the American Jobs Act, he has driven Congressional Republicans into a political box canyon with very few avenues of escape. The jobs campaign has made it clearer and clearer to the voters that the "do nothing Republican Congress" bears responsibility for preventing the President from taking steps that would create jobs. JOLIET, Ill., and FONTANA, Calif. — Like nearly everyone else in Joliet without good job prospects, Uylonda Dickerson eventually found herself at the warehouses looking for work. "I just needed a job," the 38-year-old single mother says. Dickerson came to the right place. Over the past decade and a half, Joliet and its Will County environs southwest of Chicago have grown into one of the world’s largest inland ports, a major hub for dry goods destined for retail stores throughout the Midwest and beyond. With all the new distribution centers have come thousands of jobs at "logistics" companies — firms that specialize in moving goods for retailers and manufacturers. Many of these jobs are filled by Joliet’s African Americans, like Dickerson, and immigrants from Mexico and elsewhere in Latin America. But many bottom-rung workers like Dickerson don’t work for the big corporations whose products are in the warehouses, or even the logistics companies that run them. They go to work for labor agencies that supply workers like Dickerson. Last year, she found work as a temp through one of the myriad staffing agencies that serve big-box retailers and their contractors. Thanks largely to the warehousing boom, Will County has developed one of the highest concentrations of temp agencies in the Midwest. Dickerson, grateful to have even a temp job, was taken on as a "lumper" — someone who schleps boxes to and from trailers all day long. As unglamorous as her duties were, Dickerson became an essential cog in one of the most sophisticated machines in modern commerce — the Walmart supply chain. 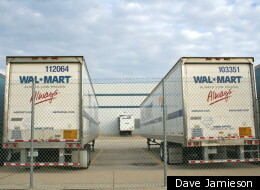 Walmart, the world’s largest private-sector employer, had contracted a company called Schneider Logistics to operate the warehouse. And Schneider, in turn, had its own contracts with staffing companies that supplied workers. Dec 6, 2011 – Oakland, California – When Occupy Seattle called its tent camp "Planton Seattle," camp organizers were laying a local claim to a set of tactics used for decades by social movements in Mexico, Central America and the Philippines. And when immigrant janitors marched down to the detention center in San Diego and called their effort Occupy ICE (the initials of the Immigration and Custom Enforcement agency responsible for mass deportations),people from countries with that planton encampment tradition were connecting it to the Occupy movement here. This shared culture and history offer new possibilities to the Occupy movement for survival and growth at a time when the federal law enforcement establishment, in cooperation with local police departments and municipal governments, has uprooted many tent encampments. Different Occupy groups from Wall Street to San Francisco have begun to explore their relationship with immigrant social movements in the US, and to look more closely at the actions of the 1 percent beyond our borders that produces much of the pressure for migration. Reacting to the recent evictions, the Coalition for the Political Rights of Mexicans Abroad recently sent a support letter to Occupy Wall Street (OWS) and the other camps under attack. "We greet your movement," it declared, "because your struggle against the suppression of human rights and against social and economic injustice has been a fundamental part of our struggle, that of the Mexican people who cross borders, and the millions of Mexican migrants who live in the United States." Many of those migrants living in the US know the tradition of the planton and how it’s used at home. And they know that the 1 percent, whose power is being challenged on Wall Street, also designed the policies that are the very reason why immigrants are living in the US to begin with. Mike Garcia, president of United Service Workers West/SEIU, the union that organized Occupy ICE, described immigrant janitors as "displaced workers of the new global economic order, an order led by the West and the United States in particular." Dec 8, 2011 – Three of the 10 dirtiest coal-fired power plants in the nation are located in Western Pennsylvania, according to a new report that also ranks the state first overall in emissions of toxic air pollutants like arsenic, chromium, hydrochloric acid, lead and mercury. The report was issued Wednesday by the Environmental Integrity Project, Earthjustice and the Sierra Club, and was based on the self-reported industry emissions in the U.S. Environmental Protection Agency’s 2010 Toxics Release Inventory. The report ranked Genon’s Shawville Power Plant in Clearfield County third dirtiest in the nation, followed by EME’s Homer City Power Plant in Indiana County (seventh) and FirstEnergy’s Bruce Mansfield Power Plant in Beaver County (ninth). States ranking behind Pennsylvania for worst overall power plant emissions are, in order, Ohio, Indiana, Kentucky and Texas. Pennsylvania is downwind from all but Texas. Pennsylvania leads the nation in emissions of lead and arsenic, and has increased its arsenic emissions over the last decade, from 15,861 pounds in 2001 to 17,666 pounds in 2010. The EPA proposed the first national standards to control toxic pollution from power plants — mainly mercury, fine particles, heavy metals and acid gases — in March 2011 but delayed promulgating them in September. The EPA is poised to adopt them later this month. Dec 5, 2011 – Joyce Davis began to see the change in Penn Hills after the recession hit. Ms. Davis is executive director of the Lincoln Park Community Center, which runs a food pantry that serves about 150 families each month. About 90 percent of them are African-American. Before the latest economic slump, said Ms. Davis, who is also head of the Penn Hills NAACP chapter, the pantry served only 90 to 100 families each month, and the main customers were elderly people and single mothers. But in the last few years, she has seen more and more men who have either lost their jobs or can’t find work. "They basically don’t have enough money to really take care of the needs of their families," she said. "I have had people come who have actually cried because they said ‘Before, I was making donations to the pantry, and now I need help from it.’ "